Most people can benefit from Counseling/Therapy at some point in their lives. Seeking help is a sign of strength and shows a desire for things to be different. Reaching out is an important first step. Although initially it can be difficult, it is rarely something that people regret. I often find that people who were hesitant to seek counseling quickly warm up to me and realize that they didn't need to worry. 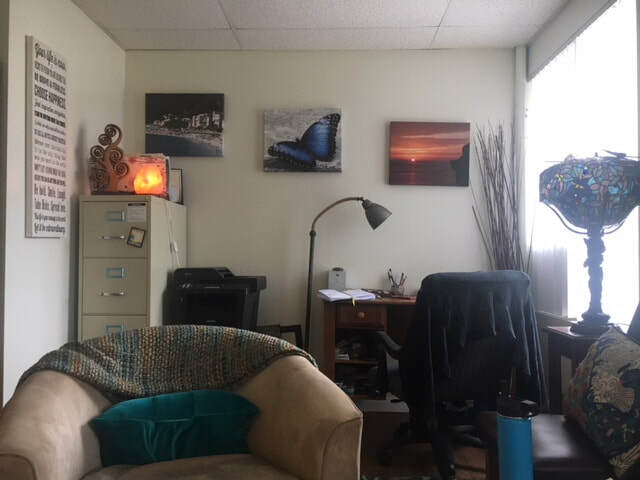 I've worked with many people who have never seen a therapist before and feel nervous about trying it, and I've worked with many who have had difficulty finding someone who they connect well with and feel understood by. No matter what your personal experiences have been with therapists, I hope you will give yourself the opportunity to get the help that you're seeking if my website resonates with you. I have a personal passion for Mindfulness (present moment awareness without judgement) and have seen amazing changes in my clients from practicing Mindfulness. Like most things, it gives back to you what you put into it, but it is definitely worth trying if you struggle with being present in your life. It can help tremendously with "getting out of your head" and worrying less; it can help with being more present while communicating with others; it can help with getting more satisfaction out of your own life by becoming more aware and grateful, rather than just going along for the ride. 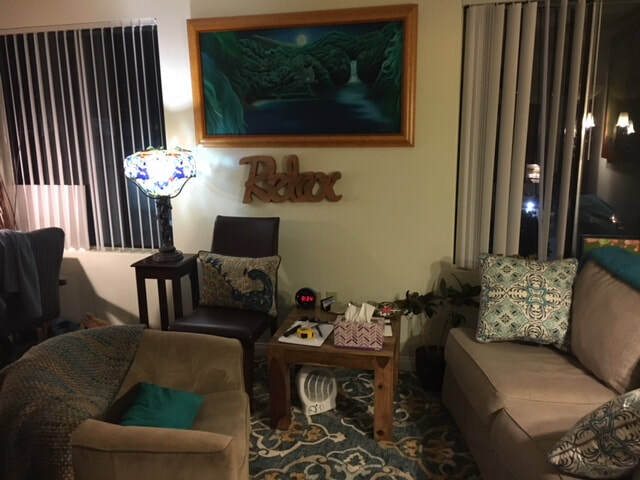 Mindfulness can be integrated into our one on one therapy together, or you may want to join my Mindfulness group to learn and experience it with others. In addition, I've found that I work very well with people who are very sensitive, and even those that identify themselves as a highly sensitive person (now sometimes known as HSP). I'm able to help my clients identify if being a very sensitive person is leading to such things as being very emotional, feeling hurt easily, being sensitive/reactive to things in their environment, and experiencing things deeply-including art, music, and connections with people or animals. For those are already aware of their sensitive nature, I help them to see it more as a strength, and to find an appreciation for their abilities and sensitive soul. I also help them to calm their nervous system and reduce anxiety and over-stimulation that can come from being sensitive. I would be honored to help you navigate this part of yourself--afterall, I can really relate! My seventeen years of Counseling experience have given me the ability and competency to treat many mental, emotional, and behavioral issues. Whether you're a teenager struggling with anxiety, feeling overwhelmed, or having conflicts with friends or family, or you are a young adult stressing over life's adjustments, pressures and decisions: you have come to the right place. Perhaps your family isn't getting along as well as you would like. I can work with you in a compassionate, warm, honest, and direct manner. 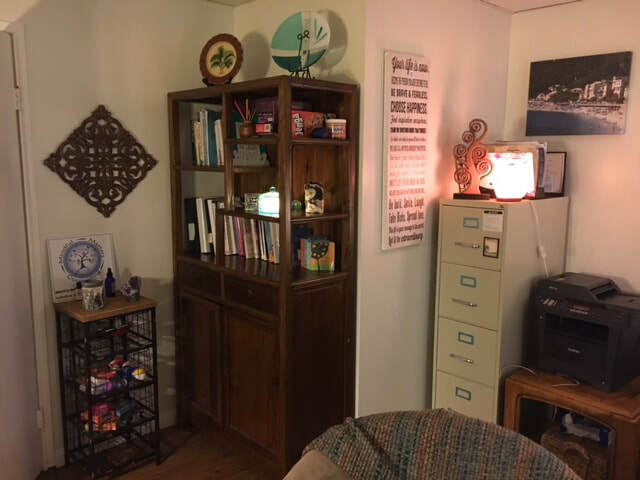 We will strive to reduce troubling symptoms and help you learn new ways of thinking, coping, and communicating, as well as gaining a greater appreciation for life. Mindfulness practices, Cognitive-Behavioral Therapy, or other appropriate modalities may be used depending on your unique personality and circumstances. I strongly believe that having the right fit between client and therapist is extremely important in treatment. Therefore, I am happy to provide referrals to other professionals if I cannot meet your needs. • Difficulty in relationships such as with your parent, child, friend, boss, boyfriend/girlfriend, husband/wife, etc. • Trouble adjusting to changes in life, or wanting to make significant changes--I especially love working with East Coast transplants, as I was one myself, but all SD newbies welcome! Please provide your email if you would like to receive occasional messages with events, info., and updates about Mindful Matters Counseling! Your email address will be used for these purposes only. Thank you! Are you a woman feeling stressed and burnt out? I have a workshop for you! Register now as space is limited.